Osmium metal is a bluish white, lustrous, extremely hard, and brittle even at high temperatures. It has the lowest vapor pressure and the highest melting point of the platinum group. 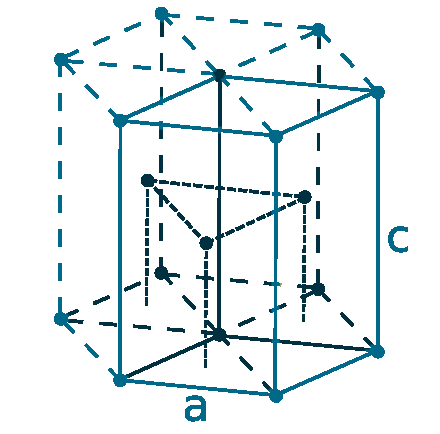 It is very densest metal, even little more than iridium (22.56 g/cm3). The metal is difficult to fabricate, but the spongy or powdered metal reacts slowly with the oxygen and gives off osmium tetroxide (OsO4), which is a powerful oxidizing agent & has a strong smell, even it is highly toxic, and boils at 130 oC. 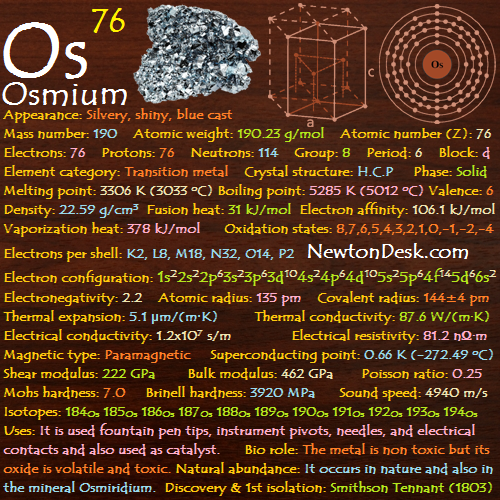 Osmium metal is uneffected by water and acids, but dissolves with molten alkalis. 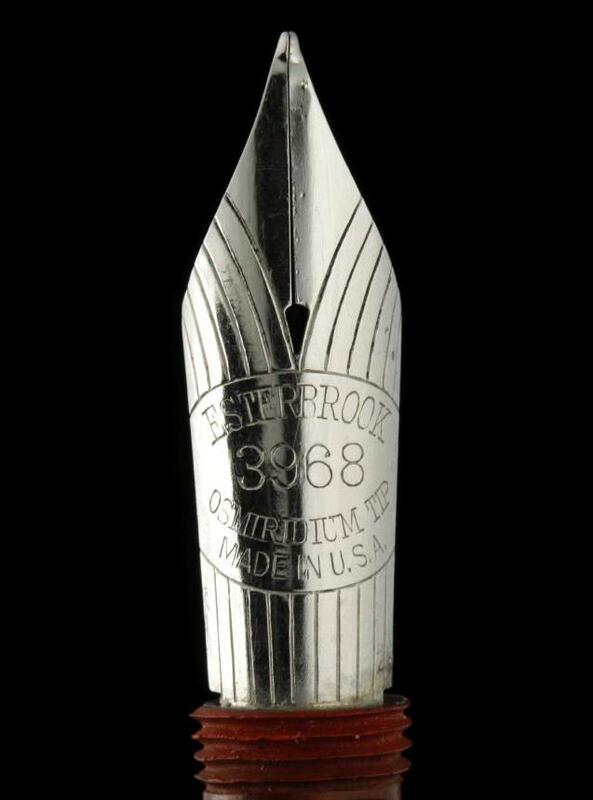 The metal is used to produced very hard alloyswith other metals of platinum group for phonograph needles, instrument pivots, high-quality fountain pen tips, and electrical contacts, and also used as a catalyst in the chemical industry. Osmium tetroxide (OsO4) has been used to detect fingerprints and to stain fatty tissue for microscope slides. 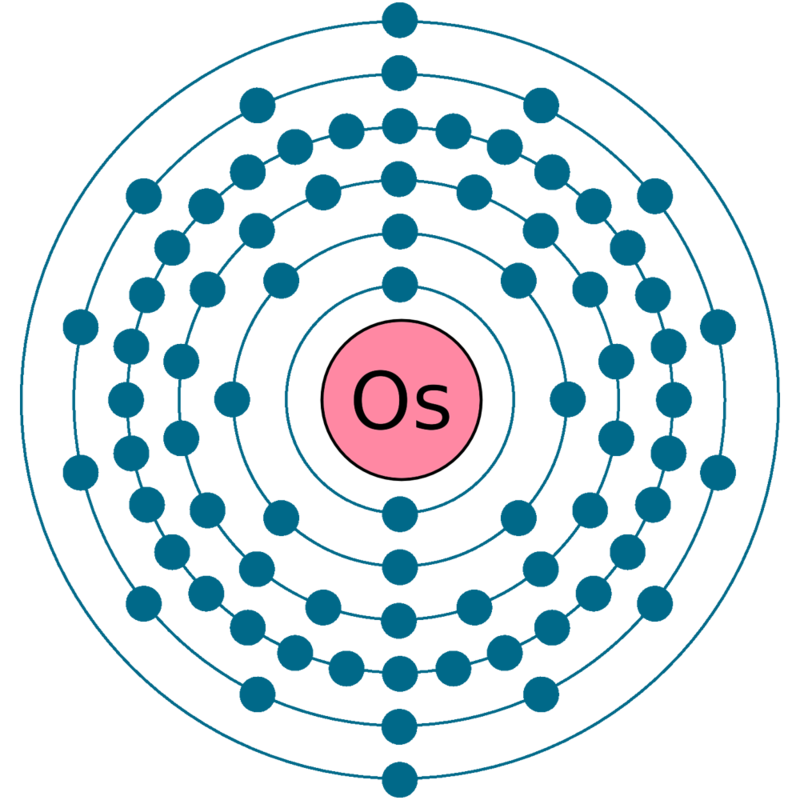 The metal is not toxic & harmless, But finely divided metallic osmium is pyrophoric (ignites spontaneously in air below 55 oC), and its oxide is volatile and very toxic, causing lung, skin and eye damage. Osmium occurs in the mineral osmiridium (an alloy with iridium) and in platinum-bearing river sands in the Urals, South America, and North America, and also found in the nickel-bearing ores of Sudbury, Ontario region. 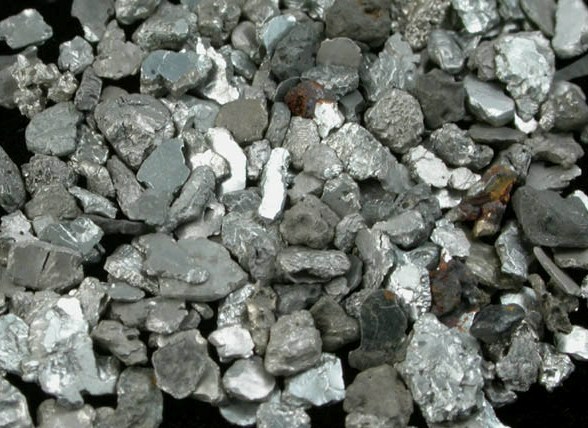 Commercially, Most osmium is obtained from the wastes of nickel refining. Annual world wide production Osmium is around 130 KG (Kilogram).